1.) What I'm about to show you is truly crazy. So buckle up, grab your popcorn and "learn to (uni)code". Unicode 12.0, contains a repertoire of 137,993 characters covering 150 modern and historic scripts, as well as multiple symbol sets and emoji. 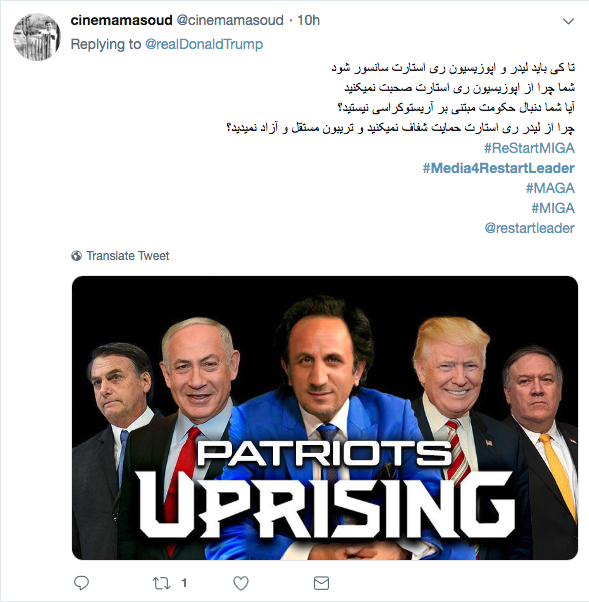 So what does Unicode have to do with #QAnon, #TheStorm, and the letter R? For those who aren’t aware. He dropped in warned Trump of the spying at Trump Tower. 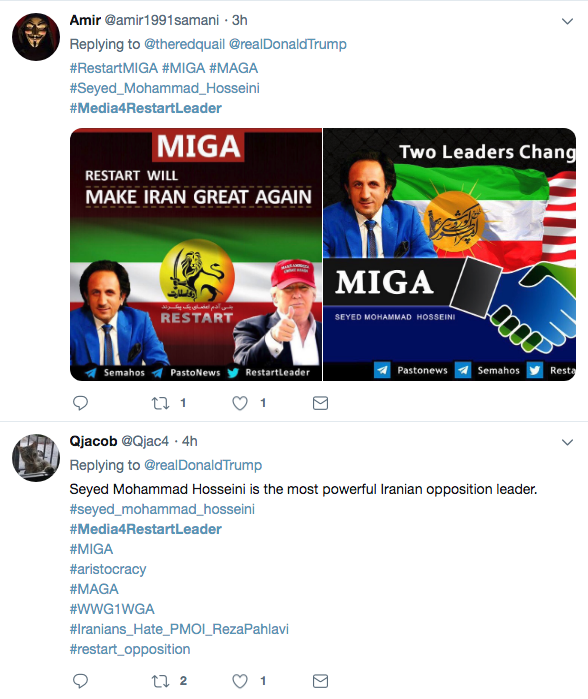 An increasing number of tweets containing #Media4RestartLeader or #Restart_Opposition, many of them tagging Donald Trump, and also containing hashtags such as #MIGA ("Make Iran Great Again") have turned up recently in both English and Farsi. 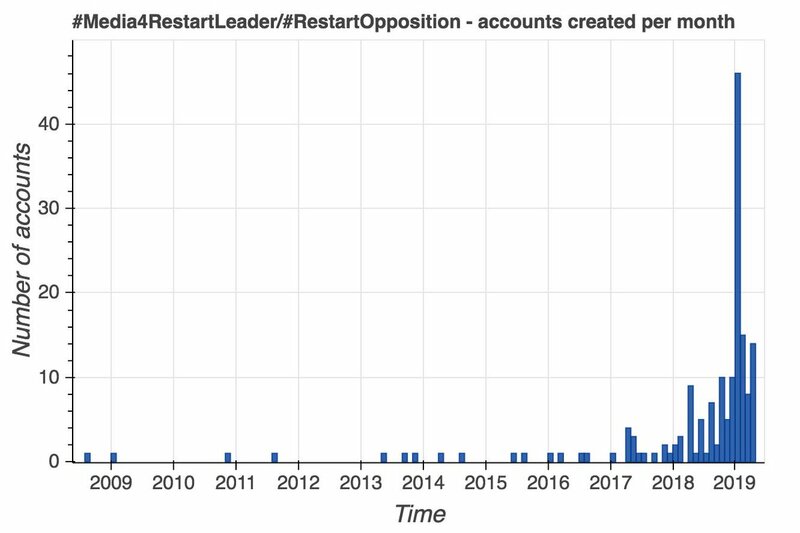 #Media4RestartLeader/#Restart_Opposition proved a bit tricky to investigate due to many of the tweets being absent from search results (shadowbans possibly?) 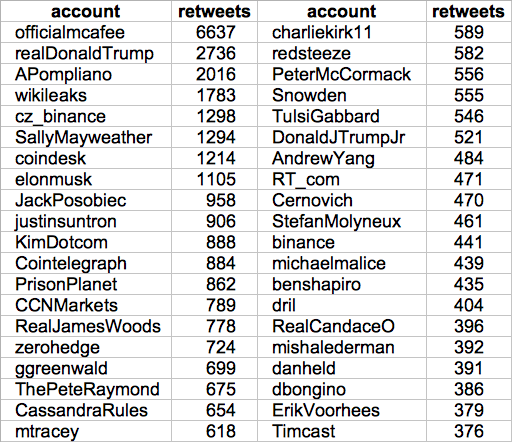 In lieu of search, we used the followers & followers' followers of the accounts that did show up in searches as a dataset. 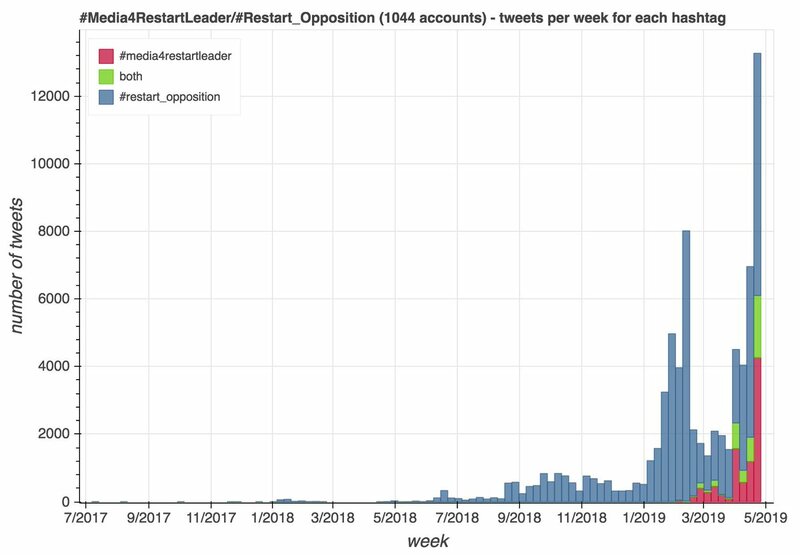 We ended up with 74903 tweets containing #Media4Restart Leader or #Restart_Opposition (some contain both) from 1044 accounts. 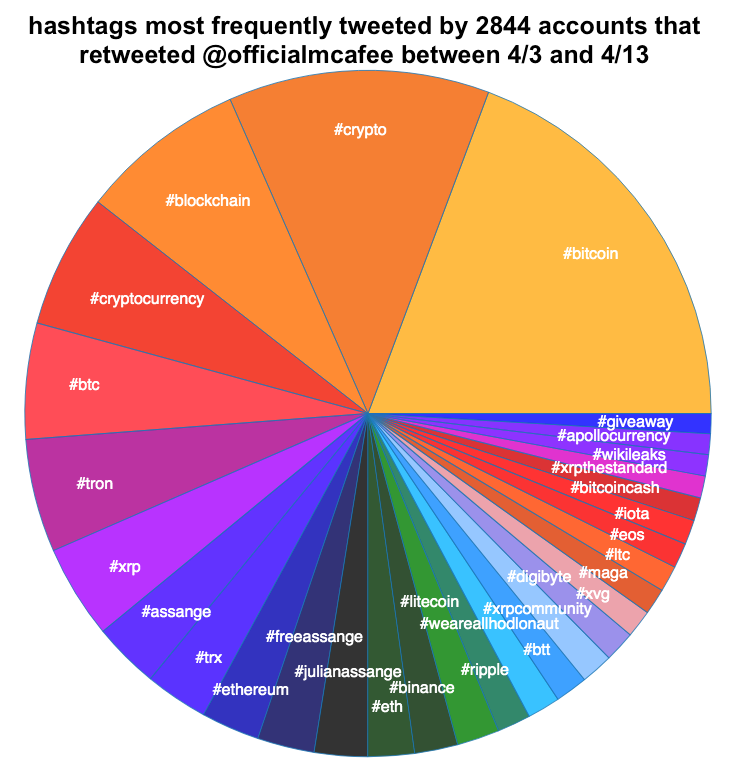 395 (37.8%) were created since the beginning of the year. Many have few followers, few tweets, and only 5.6% have changed their color scheme. Tomorrow we fight. Pray pray pray HARD PATRIOT WARRIORS. I'm hearing "fast" we need to fast and pray. Listen again...carefully. POTUS @realDonaldTrump knew about [their] treason even before he won the 2016 election. 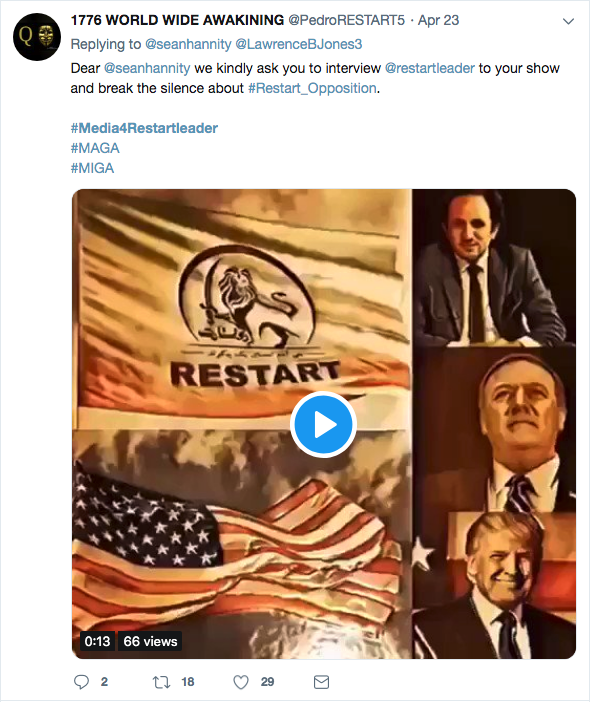 Q has posted this video many times & the public is finally catching up w/what we've long known. 1. "Our movement is about replacing a failed & corrupt political establishment with a new gov't controlled by you, the American people. The Washington establishment, and the financial & media corporations that fund it, exist for only one reason - to protect and enrich itself." 2. "The establishment has trillions of dollars at stake in this election. For those who control the levers of power in Washington and for the global special interests, they partner with these people that don't have your good in mind." This is America now. #maga This is Obama's America. 2016 shifted my thought process and I decided to stay on the sidelines to observe this president. My entire life I swallowed the mainstream media kool-aid and never really questioned anything. I decided to change things up after 2016 and i started to really pay attention. Let's take a second to discuss how corrupt the last 5 consecutive Governors of Illinois have been (since January 1999). 1. 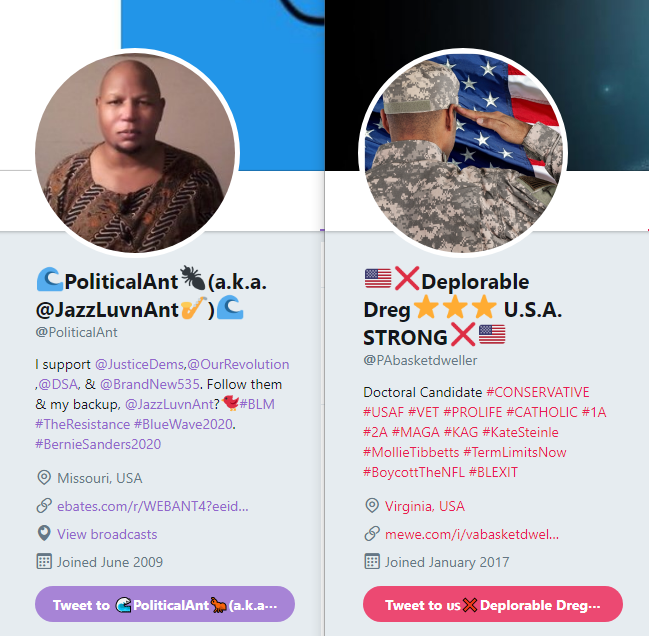 Trump supporters, those who want to #MAGA, those riding the #TrumpTrain or who see yourselves as part of #Trump’s army, the president stole your votes and betrayed you too, not just Clinton supporters. He lied about healthcare, he lied about immigration. 2. Trump supporters, those who want to #MAGA, was your tax return worth the tax cuts for the wealthy? Coal miners, are your mines safer, are there more jobs, is your insurance and protection against black lung disease better now? You, like the rest of America, were robbed. 3. Trump supporters, those who want to #MAGA, did you vote for Trump to attack law enforcement? to attack our veterans and our military? to increase the burden on those who died defending America and their children? He’s doing all that. You were robbed. Free college = higher taxes. more. @ewarren has not thought about the TRILLIONS it takes to run the scools. 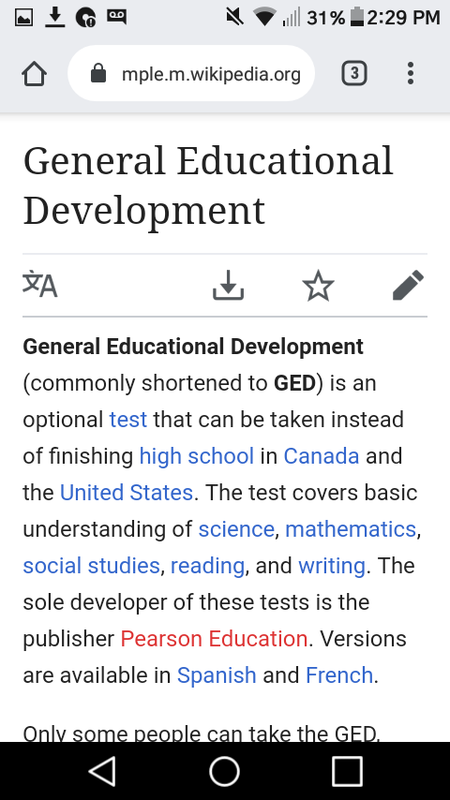 Colleges would be so over welmed with new applications they would either have to build more schools,which mean taxes would again go even higher. 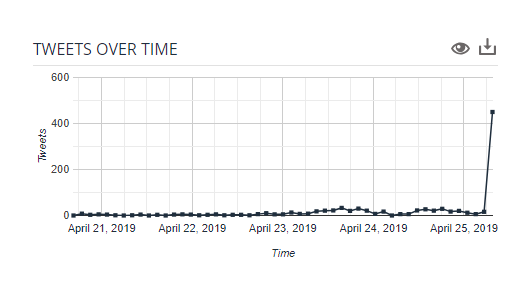 The wait list would continue to get longer each year. Within a decade the wait list would be years. Currently an average of 60% of high school graduated attend college. 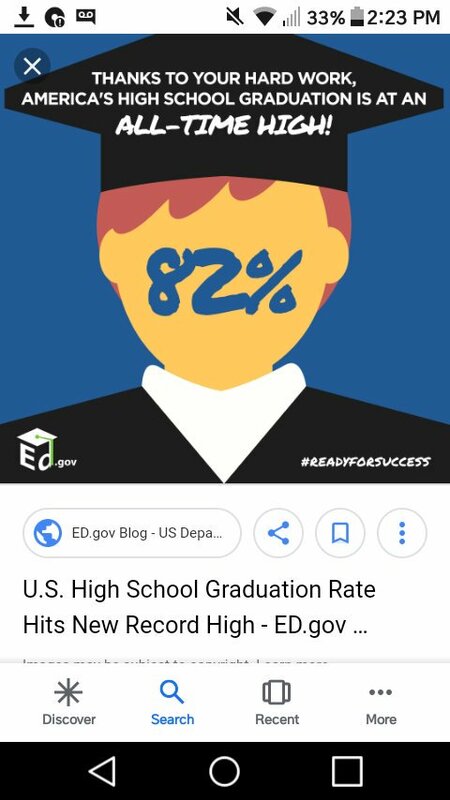 All time high of 82% graduated high school. Free college would entice (my opinion) another 20% more high school grads. 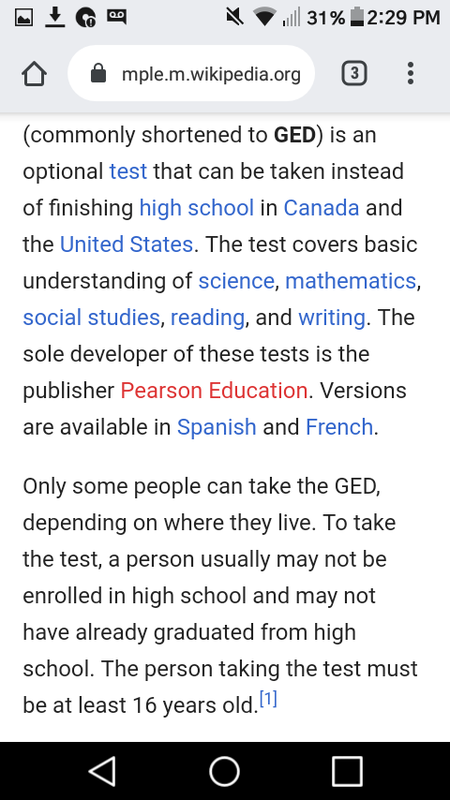 20% more of the 40% of ungraduated but still passed the GED. 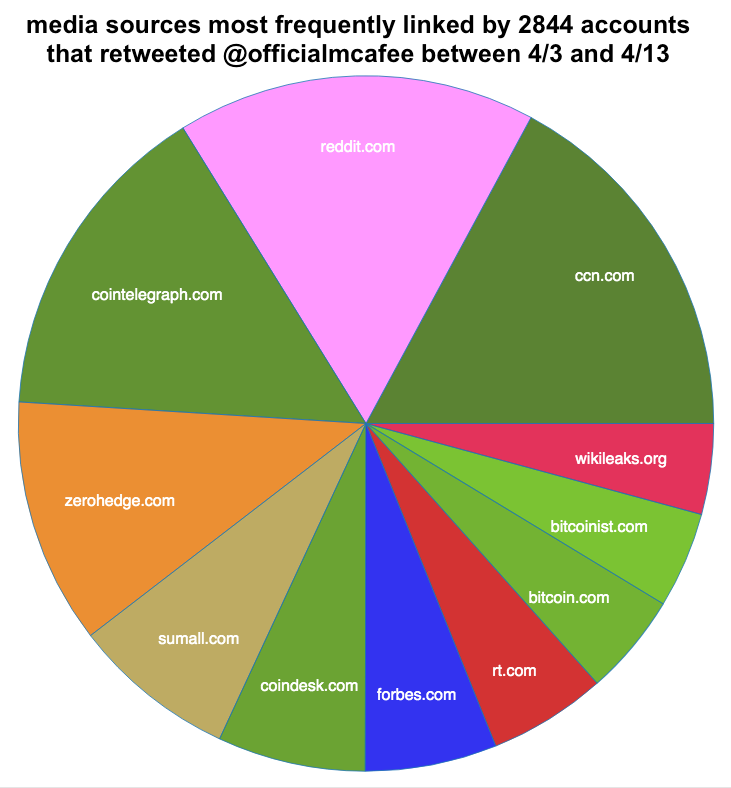 The Elephant in the Room: Our Corner of Twitter (OCoT). I think most who will see this have a general understanding of what I mean when I say Our Corner of Twitter. It certainley isn’t a phrase I coined, and I don’t even remember where I first heard it.I believe it was Rex. Our corner means truth, logic, and sadly, censorship. It is the Spygate truthers, the small group of honest brokers. It’s Rex, Finch, Rosie and Huber. Shem, McCabe, Kushner and Chill, Reckoning, Jeff and Galactic Red Pill. Prisons R their center of recruitment. Why this is not getting any attention? This interview happened in 2007. 12 years have passed now we are in 2019. That means what you see here + 12 years intensification of the issue. Burning churches & prosecuting Christians is happening 4 more than 2 decades but the media covered it up. The media which is the far left's tribune keep crimes against Christianity obscure & give them the ground 2 grow while making so much noise when the crime is against Muslims. Look at your pay stub and take note of how much is withheld by the IRS. They tell us it's to keep the street lamps on, ambulances running, and potholes fixed. No, instead it was being funneled to foreign enemies who used it to tear apart our once great Republic with civil unrest. 1. Over the past two years, we have witnessed the startling exposure of the corruption of the American political class, including their willingness to perpetrate a coup against a duly elected president. 2. Far more unsuspecting Americans than perhaps ever before in history are aware (or becoming aware with each passing day) of reality that the “Russian dossier” was a complete hoax from the very beginning, …. 2A. 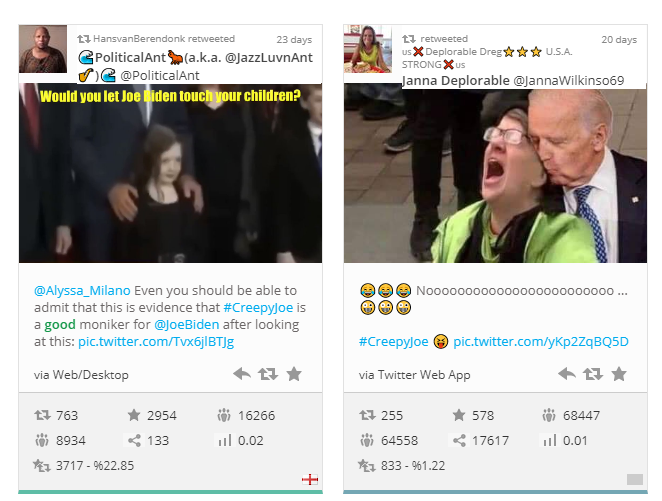 … and that it was used to initiate illegal domestic surveillance against political opponents of the Democrat Party, including Republican presidential campaigns and advisors. 1) I'll say what nobody else is saying. Mueller went to Trump's office at first to tell him that he'd been selected as the Special Counsel and that Trump had limited options. 2. Mueller gave @realDonaldTrump the final pitch. He could keep all his Companies. His daughter would be given preference in a VP/Pres run. His legacy would be enshrined in the history of America. 3) Trump asked Mueller - What if I don't agree. Mueller then told @POTUS his kids would be indicted by a Grand Jury and if he started firing Rosenstein or anyone in his office they'd unseal the indictments and his kids would be arrested. 3. malnourished little kids were armed when the cops approached, 2 adults were taken into custody, one of whom was the son with the same name of the 1st WTC bombing and the other is a cohort of Linda Sarsour. The index finger in islam has a special meaning. For a muslim, raising the finger upwards, signifies solidarity under Allah. When jihadists point their index finger up to sky it doesn't mean "We are #1"
It's a warning to Christians to worship one god, Allah.